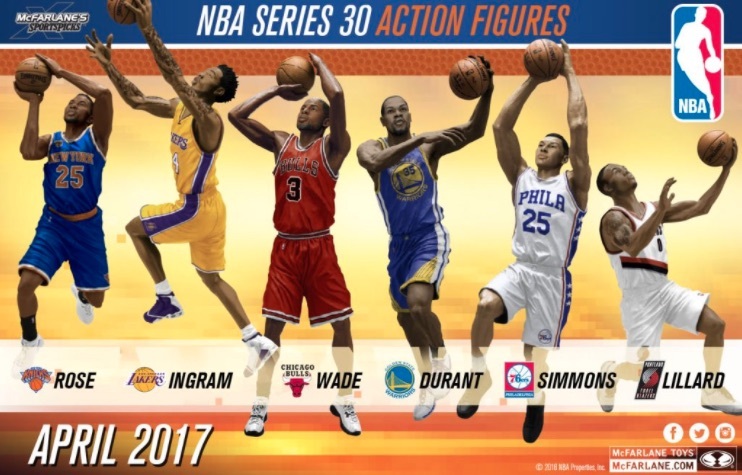 Growing the list of options for another year, McFarlane NBA 30 Sports Picks looks to key names for the 2016-17 season. Highlights include a pair or rookies and a trio of superstars on new teams. 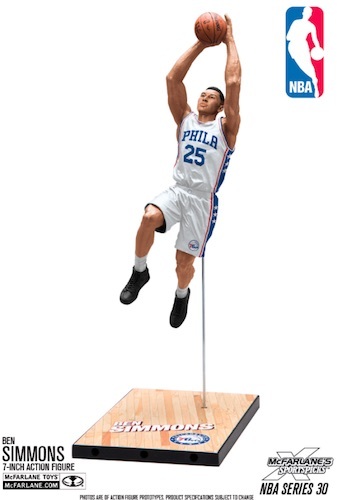 Leading the way for the McFarlane NBA 30 figures, the top two selections in the 2016 NBA Draft—Ben Simmons of the Philadelphia 76ers and Brandon Ingram of the Los Angeles Lakers—make their McFarlane debut. 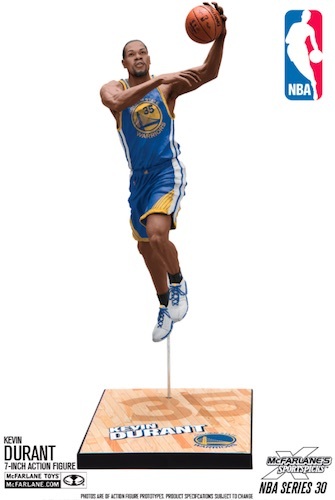 They are joined by new sculpts, and cities, for three seasoned stars with Kevin Durant, part of the Golden State Warriors, Derrick Rose, who joined the New York Knicks, and Dwyane Wade, now with the Chicago Bulls. Lastly, Damian Lillard is the only subject not on a new team for 2016-17. 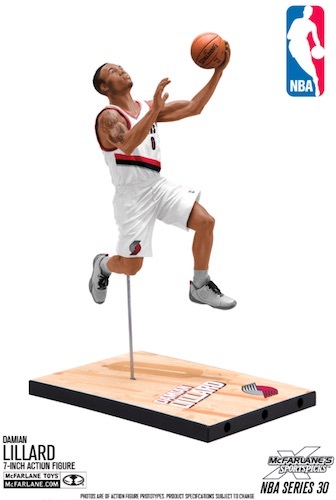 He receives an updated sculpt as a member of the Portland Trail Blazers. 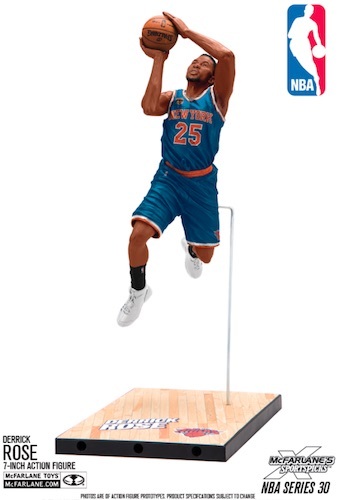 Shop for McFarlane 30 Basketball Figures on Amazon. 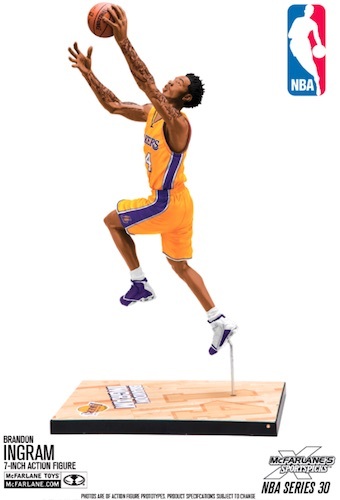 In addition to the six main figures, McFarlane NBA 30 Sports Picks features several chase variants of varying rarity. Switching the uniforms, Durant comes with either his white home uniform or very limited, yellow "The City" uniform. 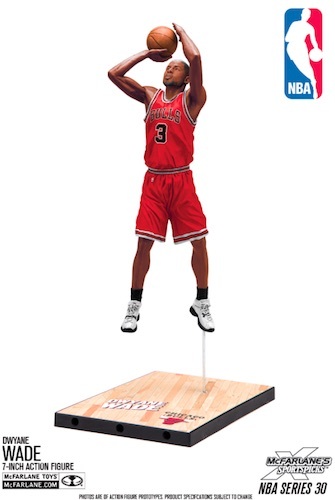 Also, Lillard has a red alternate uniform figure while Wade can be found in a white home uniform version. Ranges are provided for each collecting level and specific print runs will be announced when the figures go live. Designs subject to change. Click on the images or listings to shop for figures on eBay.